MT4 gives you the flexibility to configure your own trading system with your preferred execution model and risk management tools along with a customized desktop for the most efficient and comprehensive user experience. The trading panel of MT4 provides fast, efficient access to primary FX trading functions in an active trading environment. The Order Execution panel also enables you to flatten positions, place market orders, and reverse positions for the product selected. MT4 was built with "The Expert Advisor" technology which frees you from constantly watching your screens, as Expert Advisor automatically analyses current market situations, opens and/or closes positions, and places/modifies/deletes orders. Complete Help Tutorial. In addition to what the Order Execution Trading Panel offers, the Strategies Tester gives added functionality. You can test as many strategies as you want, and can save those strategies that you use repeatedly. All of the trading and account information you need is available from this single screen: Position Summary, Trade Panel, Account Status, Balances Summary, Order History. Trades can be entered from the Trade Panel, and will display as linked orders in the working orders panel. Order summary and position summary windows give you a quick, sortable overview of account information, including real-time P/L and order status. 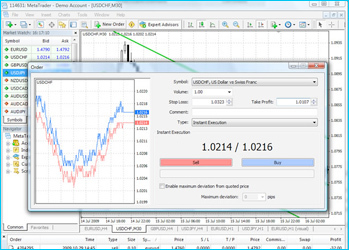 The order summary window lets you filter orders by currency pair and by order status. You can also open an Order Execution panel or trade window directly from the Charts window. 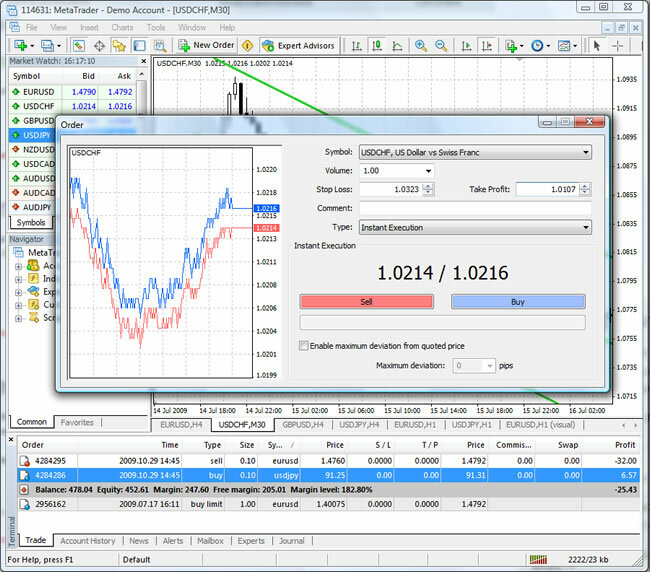 Create a customized forex platform view by combining the various trading models, quotes and account management windows into a view that works best for you. You can save as many workspaces as you want so that you can immediately load the platform view that you want. Saved profiles can be prompted for automatic loading when you call up the platform.